Three REAPS (Wairarapa, Central Otago and East Bay) recently collaborated on a research project funded by Ako Aotearoa. Their report was published in February 2017 and the REAPS involved held a workshop at the ACE Conference this year. 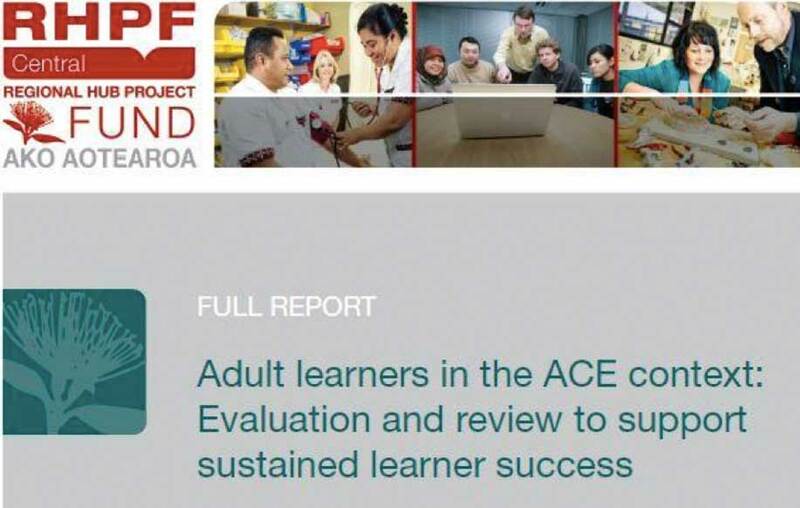 The main aim of this project was “to discover how successful learning is defined by learners in the ACE sector and how this can inform the programme interventions and activities offered in this learning context”. Forty-three learners, thirteen ACE tutors and fifteen other stakeholders working in the ACE environment took part in focus groups. is a section on ACE tutor expectations, essential qualities, and professional development. of successful learning. The process encompasses three evaluation and review templates, and is underpinned by the Learner-centric Evaluation Model.